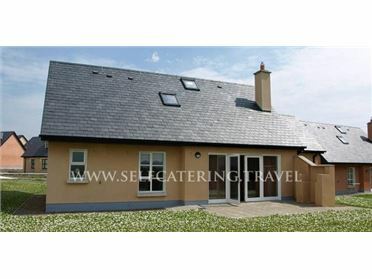 Belladrihid Cottage is a semi-detached cottage, attached to the owners' home on their small farm, a mile from the town of Ballysadare in County Sligo. This all ground floor cottage sleeps four people in two bedrooms, consisting of one double and one twin, along with a shower room. The cottage also has a kitchen with dining area and open fire and a sitting room with open fire. Outside there's shared off road parking for two cars and lawned gardens. Belladrihid Cottage is a lovely base for exploring this part of the Emerals Isle. The small County Sligo town of Ballysadare is situated on the banks of the Owenmore River. It's home to a small selection of shops and pubs, whilst just five miles is the vibrant town of Sligo.